October, also known to a lot of us as Breast cancer awareness month, is over for another year. 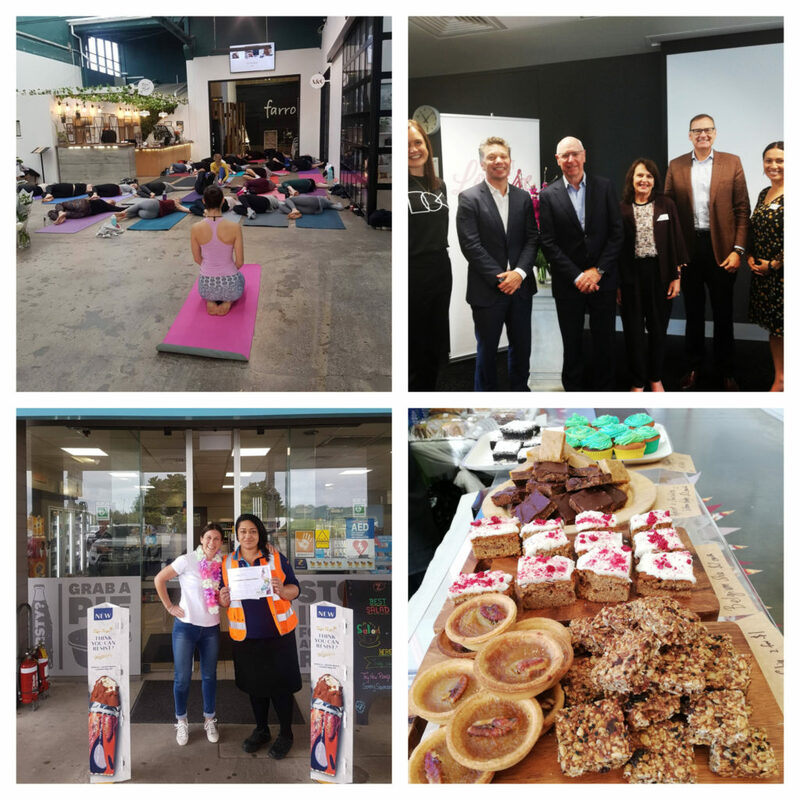 The Sweet Louise team want to say a heartfelt THANK YOU to all of you who got behind us this month and supported the 648 members we have living with incurable breast cancer in New Zealand. Thanks to you, we are able to continue hosting monthly member meetings, gifting financial help to Sweet Louise members and ensuring our Support Coordinators are out and about, taking care of the women who have been diagnosed with incurable breast cancer. CAKE! : Sweet October has taken place all over the country, with people baking up a flurry in support of Sweet Louise. From office parties to dessert nights, its been a mouth watering month. Thank you to the bakers out there who got involved – what a fantastic effort! LISTENING TO LEADERS: We held another successful business series event, The Future of Work, at the University of Auckland on the 26th. A morning full of inspiring ideas and insights on the future of work, thank you to all of you who came along. SHINING BRIGHT: The group and loyal followers at clothing shop Shine-On blew their fundraising target out of the water this month, raising $15,301 for Sweet Louise! A special thank you to Jacqui and Fee from Shine -On who worked so hard to get this off the ground and make it a success. BIRD OF THE YEAR: Free range chicken restaurant, Bird On A Wire have celebrated our members in their stores these past 5 weeks (with one more week to go!) with portraits on their walls and a special Sweet Louise salad up for order. A big shout out to Kelly and Jesse from BoaW for being so supportive and all round fantastic to work with. 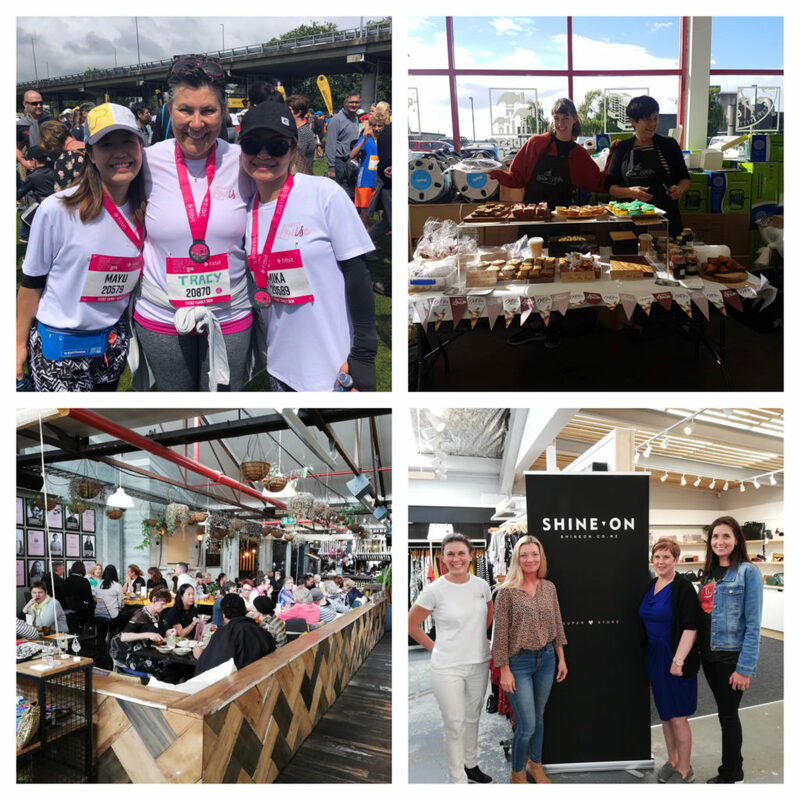 POUNDING THE PAVEMENT: We had 19 dedicated people run or walk for Sweet Louise in this year’s Auckland marathon and raise vital funds along the way. Thank you to all of you for your amazing efforts – and congratulations on making it over the finish line! BELLE OF THE BALL: Rayner, owner of the Belle boutique in Howick and fundraising extraordinaire, put on a fantastic night of fashion and fun to raise money for Sweet Louise. Thank you so much Rayner and your fabulous team for pulling this off again and raising nearly $8,000 on the night! Big thanks also go to Minx, Z Energy and Bowl &Arrow for your fantastic fundraising this month!